Mildred Leona Summers, 85, of New Middletown, Ohio died Friday evening September 14, 2018 at Masternick Memorial in New Middletown, OH. She was born December 3, 1932 in New Middletown, OH, daughter of James Otis and Goldie (Kreps) Fox and had been a lifelong area resident. Leona worked in Transportation for Springfield Local Schools. 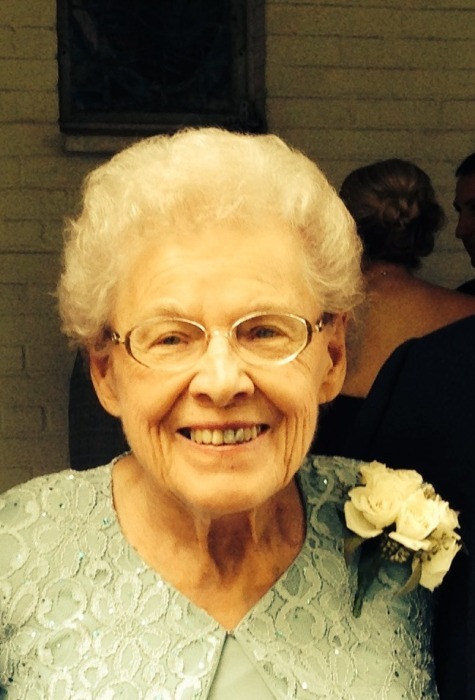 She was a member of St. John Lutheran Church in Petersburg. Her husband, Raymond G. Summers, whom she married February 13, 1954 died August 5, 2007. She leaves her son, Raymond (Becky) Summers of New Middletown; three daughters, Cindy (Chuck) Lengyel of Columbiana, Karen Summers of New Middletown, and Mary (Joe) Semancik of West Mifflin, Pa.; two nephews that she raised, Tab Bailey of Columbiana, and James (Kristy) Bailey of Enon Valley; her brother, Darrel Fox of New Middletown; nine grandchildren, Kurt Summers, Luke (Alli-Rae) Summers, Jennifer (David) Tirri, Stacy (Glenn) McAvoy, Pamela (Chris) Turner, Charles (Chelsea) Lengyel, Mark (Beth) Semancik, Amy (Doug) Fife, and Emma Bailey, and six great-grandchildren. Besides her parents and her husband, she was preceded in death by a brother, Robert Fox; two sisters, Doris Fox, and Rosetta Bailey, and grandaughters, Kathryn and Anna Marie Semancik. Funeral services will be held 1:30 p.m. Tuesday September 18, 2018 at the Davis-Becker Funeral Home in Boardman with Pastor Erin Burns officiating. Interment will follow in the Columbiana (Firestone) Cemetery. Friends may call from 5-7:00 p.m. Monday at the funeral home. The family would like to express their sincere thanks to the staff of Masternick Memorial for the excellent care Leona received. The family requests material contributions take the form of donations to St. John Lutheran Church in Petersburg.